Sweet, bacon-y baked beans. Would you believe they started with Jews? Well, they did. Connecting such seemingly disparate things as Judaism and pork-infused legumes usually takes a story. I recently wrote that story–with a recipe–for My Jewish Learning. Take a look at Vegetarian Baked Beans. 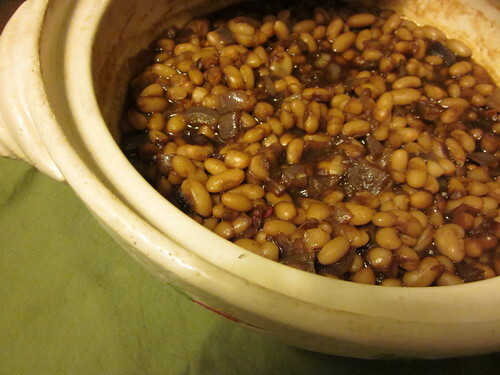 This entry was posted in Entree pour vous, Recipes and tagged baked beans, Gil Marks, legumes, vegan, vegetarian food. Bookmark the permalink.